These ceramic tiles situated in a large flat in Bravington Road W9 which is near Kensal Town in the City of Westminster, London. 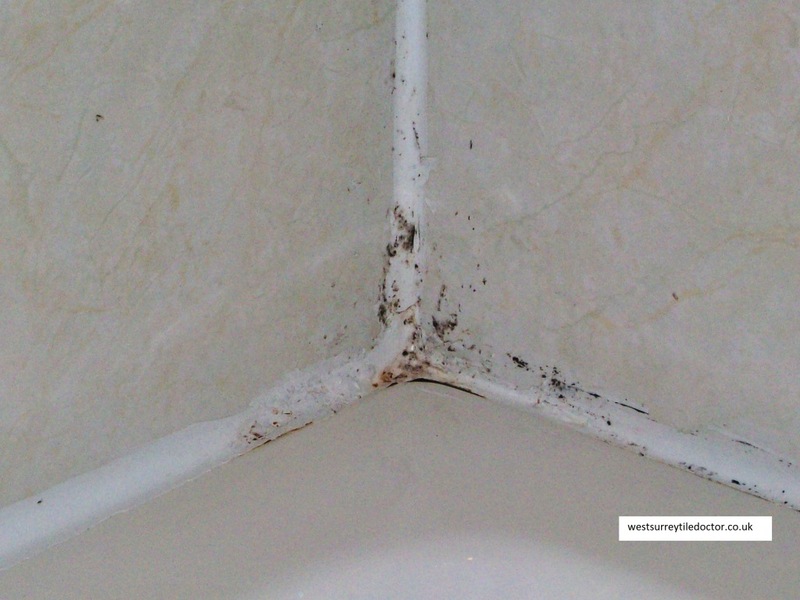 The tiles had been in place when the client moved into the flat some years ago and were badly in need of deep cleaning, attempts to remove the dirt using a steam cleaner had been successful but very slow. 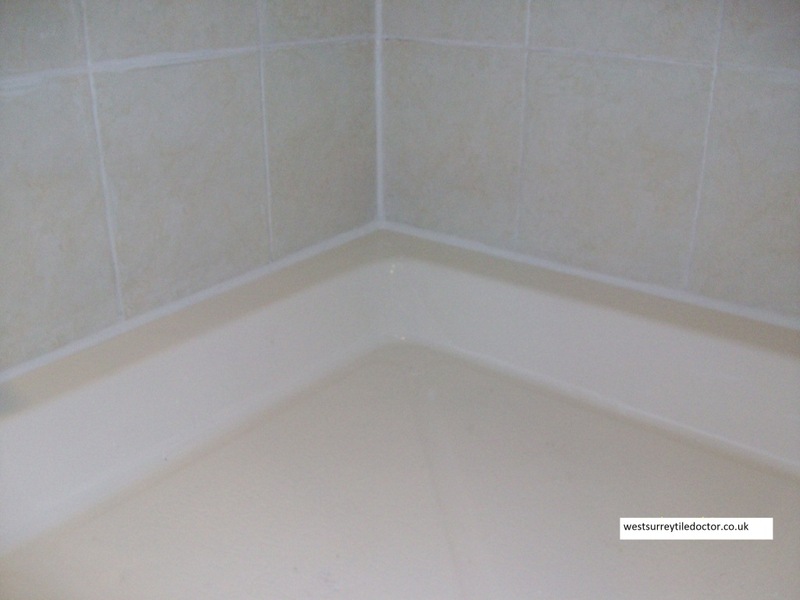 In the end the owner, realising that cleaning more than 75 square metres of tile herself in this way was going to take too long, decided to call in professional help from Tile Doctor. 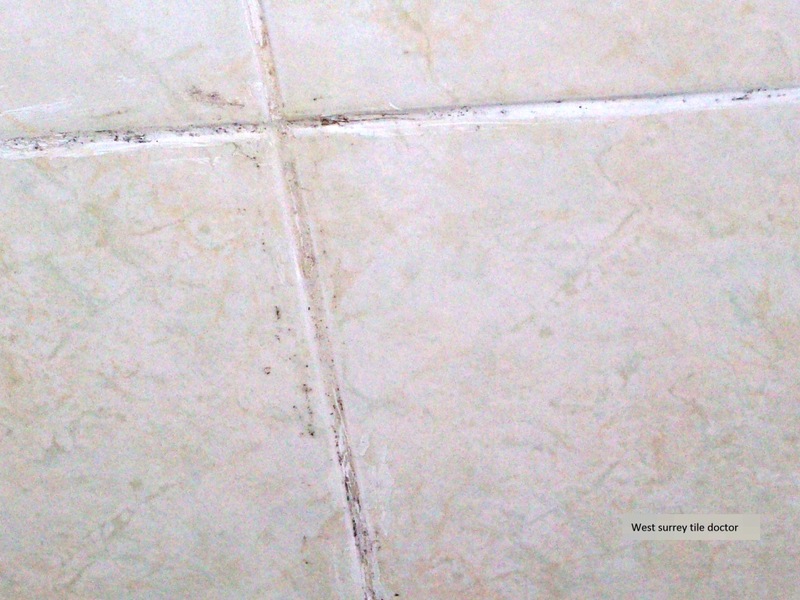 Using Tile Doctor Pro-Clean which is a heavy duty alkaline cleaning product and a medium brush on a Numatic buffing machine I lifted most of the ground-in dirt from the tiles before rinsing and scrubbing the floor again with a black buffing pad and scrubbing the grout clean by hand using a stiff grout brush. 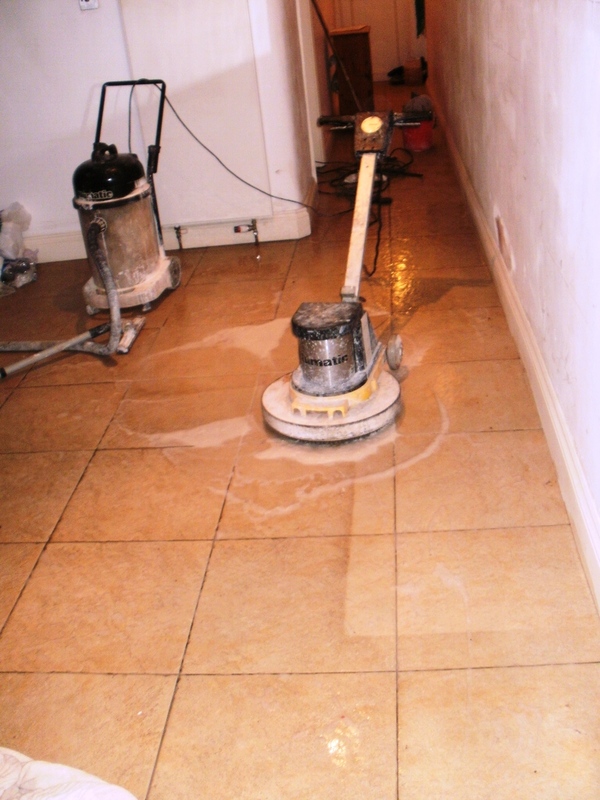 I then thoroughly washed the floor with a mop and fresh water which was then removed with an aqua vacuum, this process was repeated until I was satisfied the floor was clean. 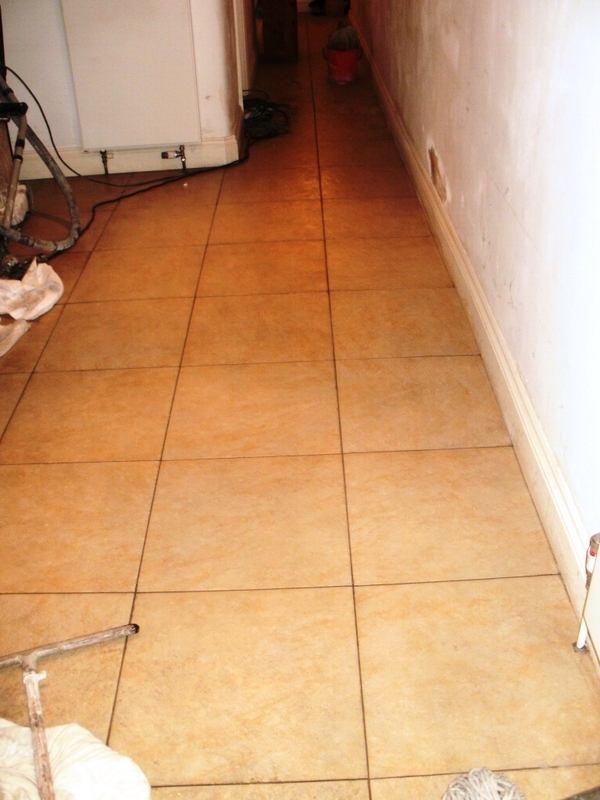 When the floor was dry it revealed an nearly as-new ceramic tiled floor with a pleasing sandstone imitation design. 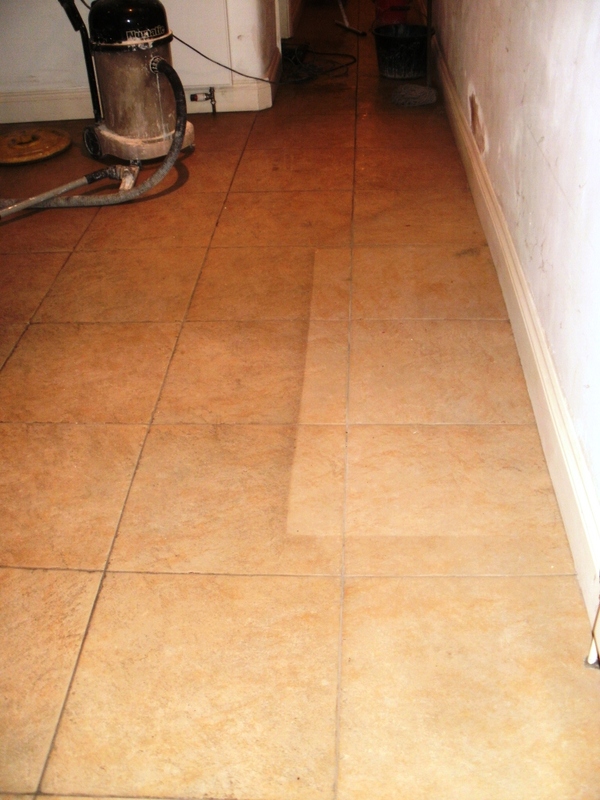 The photos show the floor before cleaning with a mark around where a piece of furniture had been removed and then the uniformly clean floor after the cleaning process was complete. 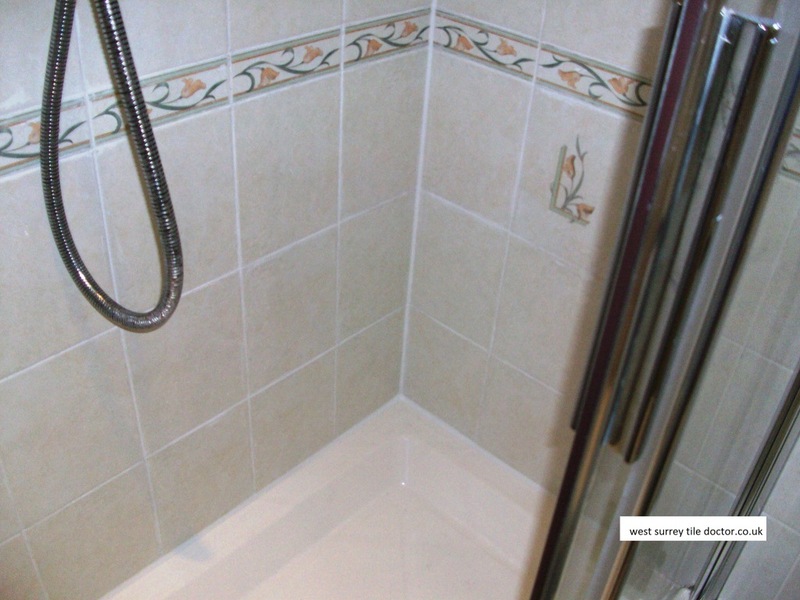 The customer was delighted with the restored condition of her floor and amazed that it could have been made so clean.